Egyptians of the first millennium B.C.E. believed that they could appeal to the god Thoth to intercede in human affairs. 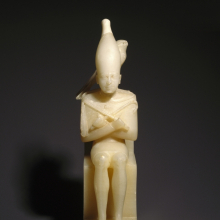 Ibis mummies allowed such a petitioner to send a message to the god. 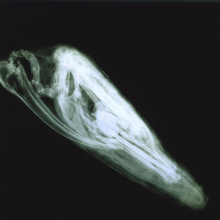 The CT scan shown here reveals that the wrappings of this mummy directly reflect the position of the ibis’s bones and its beak, curving over its breast. The length of the beak indicates a male. Carbon 14 dating of a sample taken from the linen places this mummy in a period earlier than suggested by the wrapping style. Future testing will include in addition a sample from the animal itself, to determine whether old, recycled linen was used in preparing the mummy. The Ptolemies, a family of Greek-speaking kings who ruled Egypt after Alexander’s death, supported and encouraged Egyptian religion, including the practice of making animal mummies. Royal regulations ensuring the honest manufacture of animal mummies were written and enforced by these kings. 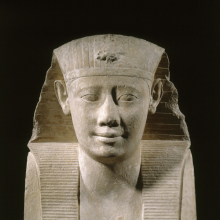 Here, Ptolemy II is portrayed as an Egyptian king wearing the nemes-headcloth. Though they themselves were ethnic Greeks, the Ptolemies adopted Egyptian culture. 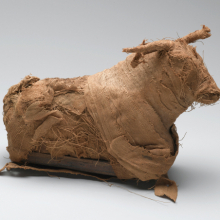 This linen model of a bull encloses a single bone, perhaps bovine. 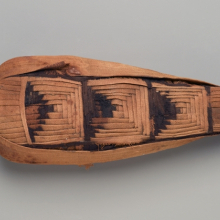 Votive mummies could contain only part of the animal. Often, elaborate wrappings seem to substitute for the animal itself. Often, the more elaborate the wrapping, the less likely it is that the whole animal is inside, as the two CT scans shown here reveal. Perhaps the intricate wrapping substitutes for the animal. This ibis is the most elaborately wrapped of all the animal mummies on display here. 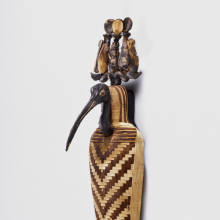 The herringbone pattern linen, the beak, and the elaborate crown all cover a mummy made only from ibis feathers. 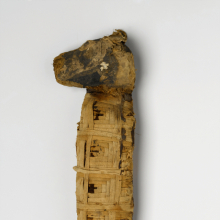 In contrast, the simple circular wrapping of this cat, with a head modeled in linen, conceals a complete cat mummy. Scholars associate the coffered, box-like pattern of linen wrapping on this dog mummy with the Roman Period in Egypt (30 B.C.E.–395 C.E.). Yet carbon 14 dating of a linen sample from this mummy suggests the linen is at least two hundred years older than that period. 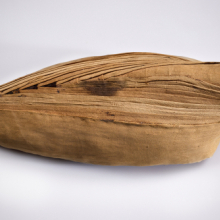 Either very old linen was recycled in the process of mummy making or this distinctive pattern of wrapping existed earlier than scholars had suspected. Future tests might resolve this question by sampling and testing the animal itself. The Egyptians harnessed the powers of a ferocious animal to ward off danger. In marshy areas inhabited by crocodiles, people living nearby identified this animal with their town god. 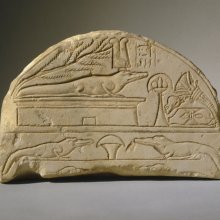 Here, the divine crocodile is on a shrine with an offering table in front of him. This fragment of a stela (commemorative stone slab) originally illustrated a prayer invoking the crocodile god Sobek, who provided all that the deceased needed in the next world. In the ancient burial ground at Saqqara, Egypt, one animal cemetery alone has yielded over four million individual ibis mummies. And the nearby dog cemetery contained over seven million mummies, with countless others found throughout Egypt. This unusual aspect of ancient Egyptian culture and religion—the mummification of animals—has remained largely a mystery. Soulful Creatures: Animal Mummies in Ancient Egypt explores the religious purpose of these mummies, how they were made, and why there are so many. Drawn from our renowned collection, the exhibition features choice examples from among the many millions of mummies of birds, cats, dogs, snakes, and other animals preserved from at least thirty-one different cemeteries throughout Egypt. 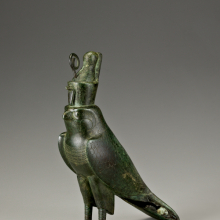 Animals were central to the ancient Egyptian worldview. Most animals had connections to a particular deity. 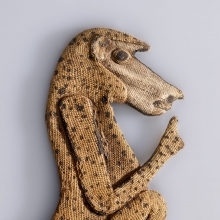 After death, mummified animals’ souls could carry a message to a god. Yet not all animal mummies are what they seem. Scientific investigation of the mummies reveals that the corruption in the animal cemeteries that some contemporaneous texts allege was all too real. CT scans displayed in the exhibition uncover the empty wrappings, double mummies, and misleading packaging among some of the mummies that the priests sold to worshippers. 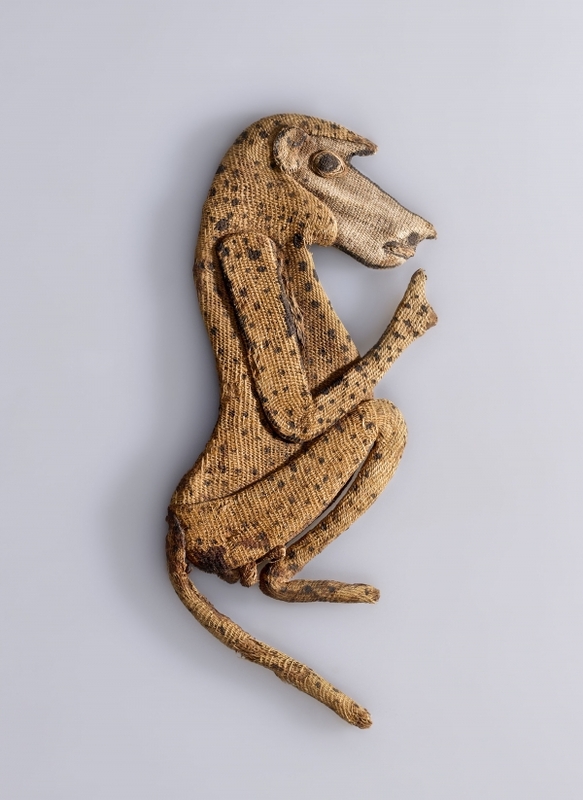 Soulful Creatures: Animal Mummies in Ancient Egypt is organized by Edward Bleiberg, Senior Curator of Egyptian Art, and Yekaterina Barbash, Associate Curator of Egyptian Art, Brooklyn Museum. The accompanying book is published by the Brooklyn Museum in association with D. Giles Ltd, London. Find out from curators Ed Bleiberg and Yekaterina Barbash, and from conservator Lisa Bruno, how CT scans were used to look under the wrappings of some of the animal mummies. Hear from kids about the animals and themes in the exhibition.